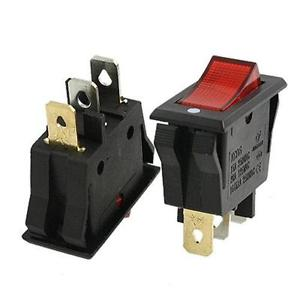 I sometimes see three terminal rocker/toggle switches, and one terminal is a different color than the other two. What does the colored terminal indicate? 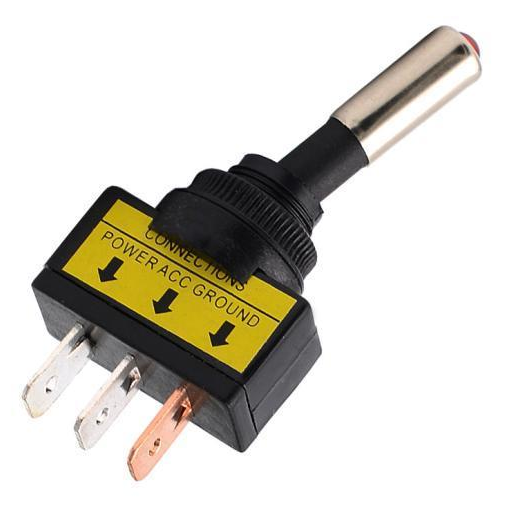 I have found a common convention with the off-color terminal being "ground", meaning it is connected to the internal light and is non-common (doesn't connect to both sides). My interpretation is that the different colored terminal is used to identify between load and power to the internal light. 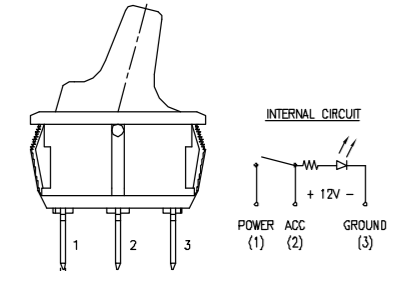 The "Ground" terminal is indicated because the other two terminals operate as a normal two terminal switch, while Ground is not supposed to carry load current. Note that conventions are just that, and the datasheet should always be referenced. It's hard to see in the photo, but this switch has the pins numbered on the black plastic. 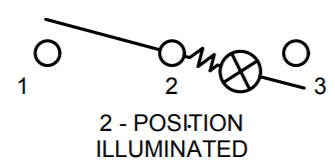 The circle with an "X" in it is generic symbol for a "lamp". So there is a lamp and a resistor in the switch. 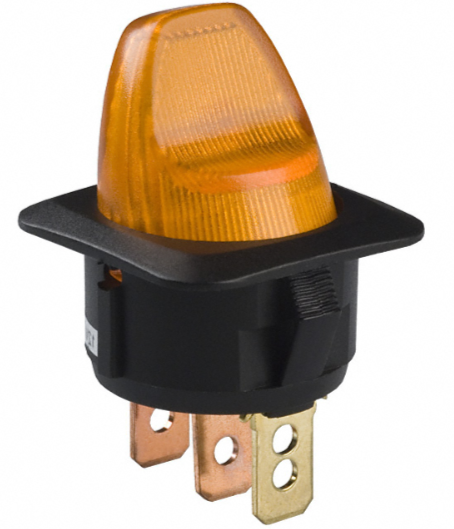 Typically, neon lamps will be used for mains AC, and nowadays LEDs will be used for lower, DC voltage (as seen further below). I found this one interesting because the colored pin also has two holes instead of just one. Not the answer you're looking for? 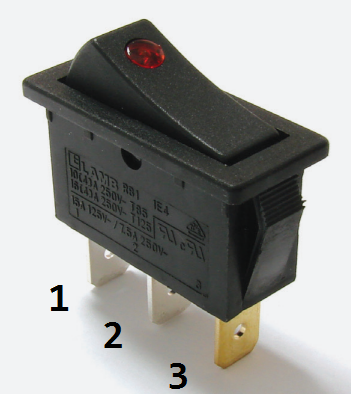 Browse other questions tagged switches terminal or ask your own question. Why does my switch need to be wired in this fashion?